You can’t pour from an empty cup. Taking a break gives you the fuel to deal with your day, your children and the unexpected messes. 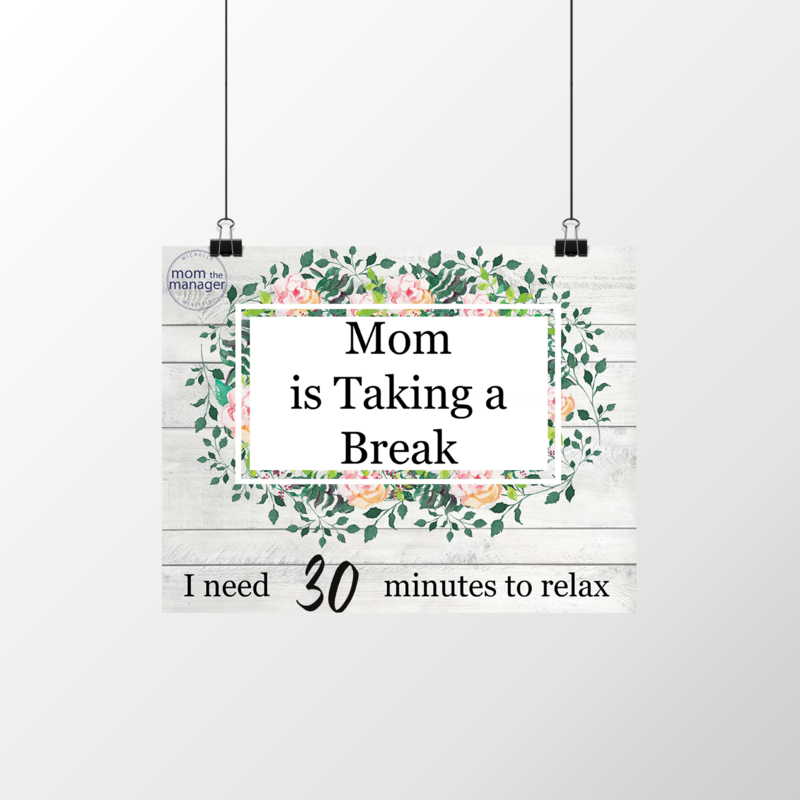 This sign lets your children know that once you have a break you will be able to play with them.